Traditionally infractions were not available for expungement in California under Penal Code 1203.4. This was changed by the California state legislature in January, 2011 with AB 2582 which amended PC 1203.4 to now include all non-traffic criminal infractions. Although infractions are considered to be less serious than a misdemeanor or felony conviction, they are still visible on background checks and can prevent you from gaining employment in this ultra competitive job market. The fact is that an employer is going to be less likely to hire an individual that has a petty theft infraction, or a similar crime, on their record as it can demonstrate some level of moral questionability. Why take any risks with your future? We specialize in infraction expungement in California. Once you sign up with us an expert attorney will handle your infraction expungement case from beginning to end, and he will be there to answer any questions you might have along the way. Since we specialize in California expungement law, we are able to offer our infraction expungement service at the absolute lowest price anywhere (we guarantee the lowest price). 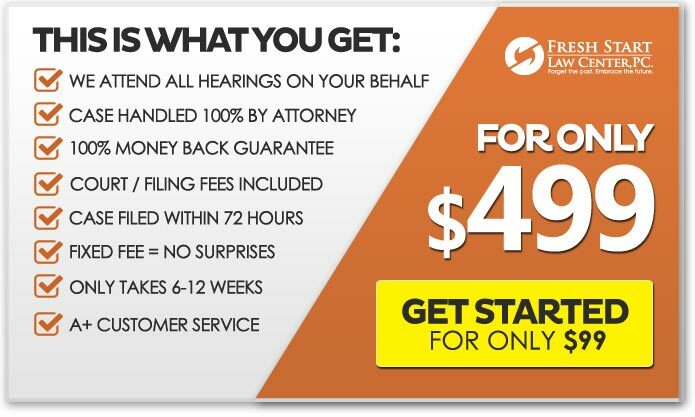 We also provide a money back guarantee, meaning if we can't get your infraction expunged you do not pay us. Don't you think it is time to forget that mistake you made in the past so that you can move forward into a positive future? Beware of any law firm that has hidden fees on their infraction expungement service (example: processing fees, hearing fees, etc.). We are one of the only criminal expungement law firms that offers fixed low pricing, meaning everything is included in our pricing. There will never be any hidden fees, games or suprises down the road with us. Our single low price covers everything from start to finish, period. NO HIDDEN FEES ever. The thing about hidden fees, is they seem to just keep popping up. All criminal databases used for employment background checks, both private and public, will update automatically within 30 days after your infraction expungement is complete. You should never pay a company, or a law firm, for any service that claims to "expedite" this updating process. Learn the truth, protect yourself here. We are able to expedite this service in most counties, taking the average processing time from 6-12 weeks down to just 18-30 days for those that need to put their past behind them in a hurry. This expedited service, when available, is only an extra $399. Please call us if interested in this service to find out if the service is available in the county where your conviction took place. There is a common misperception that infractions on your record do not matter, and/or that they get automatically removed from your record after a certain period of time has passed. The fact is that over 80% of employers do background checks today, and if you have an infraction on your record they will see it. In the competitive job market that exists today, your criminal infraction has a very serious possibility of negatively impacting your marketability. Also an infraction conviction will not get removed from your criminal record unless you expunge the conviction no matter how much time elapses. Although the above infractions are not as serious as a felony or misdemeanor on your record, they can still be embarrassing and negatively impact your ability to secure employment in the future. We can file a California Penal Code 1203.4 petition with the appropriate court to have them re-open the case, set aside the guilty plea, the Nolo contendere (no contest) plea, or the factual finding of guilt, and to set aside the conviction and dismiss the case in its entirety. Moving forward you will no longer be considered convicted of the infraction by the state of California, and more importantly your criminal record will be permanently modified to show a dismissal rather than a infraction conviction. Once the infraction is successfully expunged by the court you can truthfully tell employers, your family, and all other interested parties that you have not previously been convicted of a crime. 1You must have satisfied all the requirements of your sentence (fines, restitution, mandatory programs, community service, classes, etc.). 2You are not currently charged with another criminal offense, on probation for another criminal offense, or serving a sentence for another criminal offense. 3The infraction cannot be a vehicular infraction. The average infraction expungement in California takes 6-12 weeks (usually on the lower side), so the sooner we get started on your case the sooner you can put the past behind you. We are one of the few law firms that specializes in expungement law in California, so you can rest assured that your case will be handled from start to finish by an expert attorney, who will apply his specialized knowledge to the unique details of your case. 1In almost all cases private employers cannot ask about convictions that were dismissed under Penal Code 1203.4, nor can a conviction that was dismissed be considered for employment purposes. 2Your expunged infraction conviction will not show up on most employer background checks. 3You can truthfully and legally answer "NO" on private sector job applications when asked if you have ever been convicted of a crime. 5You can tell friends and family that you have not been convicted of a crime. 6You have the satisfaction of forgetting the past for good and moving forward into a more positive future. 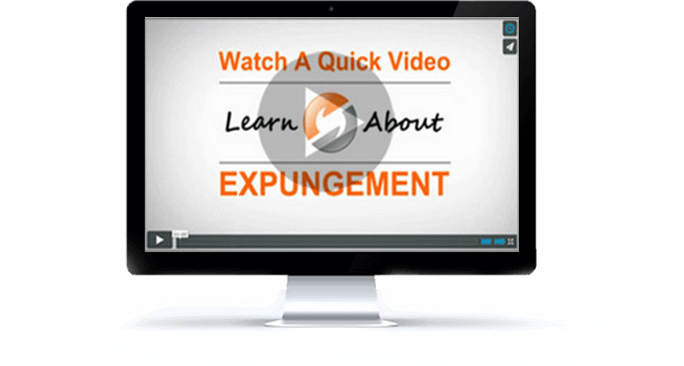 Getting an infraction expunged from your record should not be an expensive process. That is why we guarantee that we offer the lowest price for Criminal Infraction Expungement in California. The fact is that expungement law in California is fairly complex and confusing. It is important that you seek legal advice to determine that your infraction conviction does in fact qualify for expungement relief under PC 1203.4 and AB 2582. If you file a petition for a conviction that does not qualify you may spend upwards of $120 in court costs for no reason. One of our experienced attorneys will not only advise you on whether your infraction conviction is eligible for expungement, but we will handle the entire case for you from beginning to end. Our only focus is California expungement law, and we pride ourselves on getting positive results for our clients. You can see a list of what we do for you below. We are excited, and ready, to get started on your infraction expungement right away. We are dedicated to providing all of our clients with unsurpassed customer service, and pride ourselves on being one of the few California law firms to focus completely on expungement law. Our expertise in the area of expungement law allows us to offer the lowest fixed price infraction expungement service anywhere (we guarantee the lowest price), and also allows us to offer a money back guarantee. If we can't get your infraction expunged - you don't pay us! We truly appreciate you taking the time to browse our website and to consider our infraction expungement service, and we look forward to helping you forget your past so that you can fully embrace the future.